There’s no denying that fashion is a constant presence in one’s life. From the daily task of choosing what clothes to wear to standing out in a crowd during evening dos, fashion plays a role that spells self-expression. And, remember – No one can stop themselves from looking at something that soothes the eye. True, beauty lies in the eyes of the beholder, but the trick to look stunning lies in the aesthetics of the design that you choose to carry. With millennials making the majority of buyers and shoppers all over the world today, it is observed that products are bought more to satisfy the senses rather than just their usability and functionality. Not long ago, a product was valued for its practical usefulness. However, today, users’ expectations have evolved together with the design field. Usability is more a default quality; whereas to give the experience of pleasure and evoke positive emotions for the user, designing has become crucial for all kinds of products. Yes, first impressions matter! Whenever a product is perceived for its exclusive-but-satisfying beauty, the design gives a deeper pleasure that creates a bond beyond the initial interaction. The design and the aesthetics lend an impression that the perceived product is more elevated, usable and valuable. The design of new generation products, hence, need to be aesthetically pleasing consistently across the whole experience and user journey. Along with this, what comes as a breath of fresh air is the taste of minimalism. The essence of style and sophistication comes from handpicked products adding dimensions to your lifestyle without feeling too overdone. From choosing bold solid colours, like fuchsia or chartreuse, for accessories to lifestyle products of varying degrees of taste, quality and craftsmanship, minimalistic methods have a way to always look amazing. No flash, no dash, no baubles.. The idea is to ditch the ordinary and not look boring – a deftly styled sportswear look could be elevated with the correct designer jewellery. Whether it is carefully designed earrings that summon memories from Egypt and Crete or a necklace made of corals reminding you of a balmy breeze from the South Sea Islands, the right design and perfect combination will always get along and never clash. So, choose well and never cease to dazzle! Doubt that the sun doth move. Why are we in the mood for poetry? You guessed right! It’s that time of the year again when one proclaims their love for that special someone! As cupid marks a special day in our calendars to strengthen our affections or create new everlasting bonds, it becomes more and more of a battle against time to decode new rules of making the day unforgettable for your romantic half. Will her favorite Lilies suffice or will Artisanal Sweets do the trick? His favorite Perfume or Black Truffles at his favorite joint? One goes above and beyond to find the right gift to celebrate as the D-day comes close. Look closely for hints that your loved one is dropping or observe their likes and dislikes to crack the code. If you are still unsure about how to make your beau feel extra special, look no further. This Valentine’s Day, let shazé take the reins and drive you to triumph in winning their heart with limited edition Gift Hampers. Keeping your need for thoughtful and refined gifts in mind, shazé presents HIS and HERS Valentine’s Day Hampers. 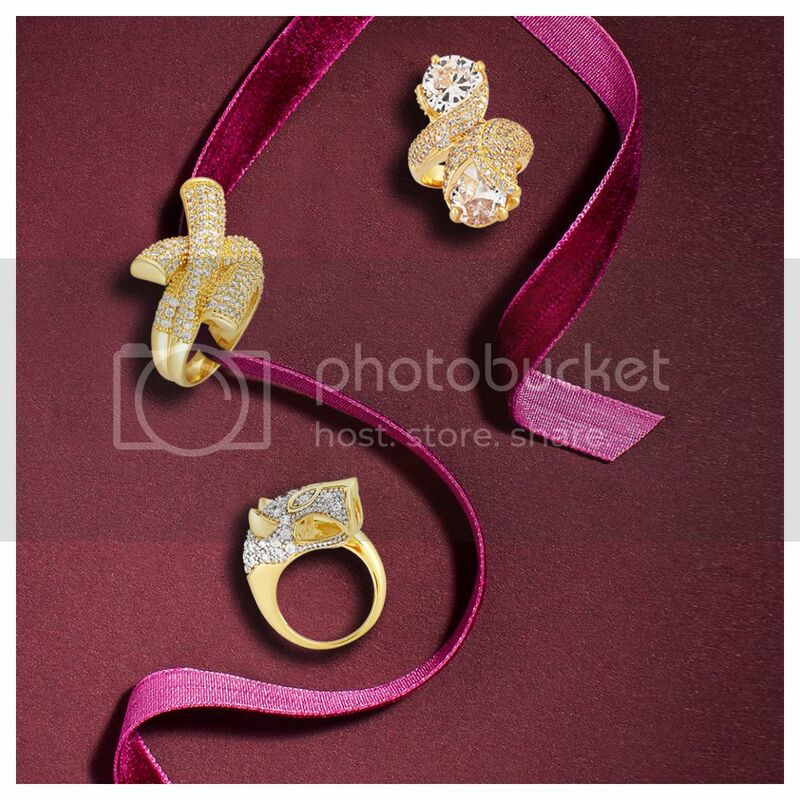 With this special ensemble, we offer a mélange of gifts that are sure to make the heart skip a beat!! Custom packaging in vibrant colors of love along with additions like the quintessential heartwarming cuddly bear and roses are sure to win you some serious admiration. Add a dash of exclusivity and luxury into your day of love! We came, we saw, we loved. *Valentine’s Day HIS & HERS hampers are available at shazé stores for a limited period of time. shazé as a brand has always been synonymous with the most premium luxury items. We have received yet another accolade for our consistency in excelling at what we do best. We are ecstatic to announce that shazé has been acknowledged by The Economic Times as the ‘Best Premium Lifestyle brand in Décor and Destination jewellery’ for the year 2018. The award ceremony, held on 27th November, 2018 at Grand Hyatt, Abu Dhabi, was organized as a part of the on-going efforts of the India - UAE Strategic Conclave; initiated by both the governments to identify key areas so as to boost investment flux between the two nations. The event was graced by his Excellency Sheikh Nahayan Mabarak Al Nahayan – Cabinet Member and Minister of Tolerance, Abu Dhabi and H.E. Navdeep Singh Suri - Ambassador of India to the UAE; along with senior government officials and key business leaders from various fields. The Conclave recognizes brands that have redefined luxury, retail and other sectors and aims at being the voice of a new set of industries. Samrat Zaveri, our Founder and MD, was felicitated at the India – UAE Strategic Conclave; giving impetus to our mission to become a global lifestyle brand and touch the lives of millions across the globe. We at shazé, are constantly striving to create world class designs that become the ultimate expressions of urbane life. Peculiarity through innovation has been at the core of our brand psyche since its inception. Made for the aesthete, the connoisseur, the fashion literate, the bold; our products have carved a niche in the luxury goods spectrum. By collaborating with talents from across the world, we amass the most audacious and unconventional designs. This fabricates the very essence of our products. Each piece is carefully crafted to match the ever evolving needs of our customers. To be honored at an international platform, has reassured the maker and the design geniuses behind our products that we are headed in the right direction. It inspires us to create more and more designs to be able to reach a larger populace. “I am my own muse. I am the subject I know best. The subject I want to better.” – Frida Kahlo. No one would be better than her, to say the least, who has lead this by example in one’s own life. Indeed, your perspective of style over trend is what defines your taste in fashion and in life as well. Perfection is passé and today women own their flaws as their strong suit, all in their stride. shazé reflects this in their latest Flawsome collection, crafted in collaboration with renowned blogger-stylist Masoom Minawala, popularly known as Miss Style Fiesta. To be Flawsome is to be human in all one’s glory and imperfections. Each piece is a denouement of design ingenuity and the basic anomalies, resulting in unique and luxe statement jewelry. The collection beckons women to express their audacious side to the world. The exquisite gold plated statement pieces of raw and yet defined designs of shazé is finally a breakthrough from the mass produced accessories that are flooded in disguise as the fashion trend. These rule-defying pieces are rings, bracelets and, earrings of this premium collection. Stirring away from the model of normality that is found in regular jewellery, shazé and Masoom have created designs that give each piece an individual stance. "This collection has been conceptualized with my own belief of being awesome the way you are." Miss Style Fiesta explains, "In today’s digital age, societal pressures raise endless questions of self-doubt and we constantly seek validation from others to justify our self-worth. When we aren’t appreciated, we feel we aren’t good enough. With this collection, I want to celebrate the tiniest nuances of every quirk innate to an individual which makes them stand out in their own right." It’s time where you acknowledge the Unique You and that you deserve different, something that is a notch above the cliché. Set your own rules, in a world drowning in the highest standards of conformity which have been pervasive in the society for ages undefined. Masoom says it best when she says, “It’s time to embrace and flaunt your flaws!” The collection portrays shedding of mediocrity and unfolding of minimal flamboyance in a whole new grace. The Flawsome collection from shazé has earrings that look like an undefined brush stroke of an artist to neck pieces that are both abstract and modern in design. Thus making it a requisite in the metamorphosis that you will embark upon in the unfolding story of the Original YOU. Launching Poetic Masterpieces of Designs in Jewellery. Shorthand for sophisticated, arty, bohemian and even exuding a rock vibe, the Paisley motif has been the most versatile and popular motif in fashion and jewellery for centuries. The rich symbolism and rebellious aura that surrounds the paisley motif have kept it thriving. The iconic motif has had quite a journey. From its ancient Persian and Indian origins with its hidden messages and mysterious symbolism, the paisley pattern has travelled the silk routes from East to West, been adopted by the 19th century boho set, ushered in the hippy era and become an emblem of rock ‘n’ roll swagger and swank. In the late 1960’s “The Beatles” traveled to India and when they returned, they brought back local fashions which influenced various styles, bringing the paisley, once again, back into popularity with mainstream America. Even the legendary John Lennon had a Rolls Royce custom painted with a paisley design. In those times, this universal design was popping up everywhere from artwork, fashion, home décor and even guitars. There has always been a sense of exoticism and luxury about it. It’s an organic motif that is also stylized and has a complexity and depth to it. It has that flamboyant connotation, it’s a look that says ‘notice me’. Inspired by the iconic motif that has captured the sartorial imagination of the world, shazé introduces a line of imperial jewels. This paisley inspired high-end jewellery range by shazé called 'Poetry in Motion' marries Italian craft and inimitable Indian art. The jewellery line is a harmonious form of poetry which conforms to no rules. Studded with gleaming cubic zirconia crystals and finished with opaque enamel, the gold finish range spells pure opulence. Paisley motifs in intricate silhouettes and dramatic colors create a sweet symphony of design and form. With vibrant colors - crimson, cobalt, lilac and teal, the enamel finish in this collection makes it versatile and luxe. A deluxe gold plating to the jewellery adds on to the grace and femininity of the range. With designs that drape and embrace your style, the collection is sheer poetry in motion. The motif that is a visual combination of a spray of floral elements and a cashmere tree features in the rings, bracelets, earrings and pendants of this collection. A luxurious line, the range features Italian enameling and theatrical artistic effects. Iconic and unique for attention to detail, the collection represents the muse – the Paisley which is a heritage motif and marks a legacy in high fashion and jewelry. The ‘Poetry in Motion’ range forms an imaginary journey from medieval times to cameos to the sharp styling of modern metropolises. Corporate Gifts for Every Style and Budget. It’s that time of the year again when your best clothes, jewellery, fine crystal and serve ware comes out for hosting guests! With festivities in the air, visiting near ones is a norm and suddenly there’s a rush to choose the most original and worthwhile gifts for your folks. It can be quite simple to understand the likes and dislikes of your friends or family and hence it’s easier to give the most unique, suitable and exciting gift to them. But when the time comes to giving innovative gifts to your employees or even clientele, it’s a completely different ball game. You don’t build a business, you build people and then those people build the business. So why not put in some time and thought into gratifying these important relations? Every year, organizations start planning on special rewards and gifts to gratify their hard working employees for the past year. By building the right business relationships with the right people and nurturing them over time, you will always be the front runner in the competition. A good business relationship can be valuable social capital. Understanding interests of your distinctive clientele becomes a top concern around the festival time. Preparations start in full vigor to impress premium clients. Professionals start reaching out to their past acquaintances and business friends that they have lost touch with in order to refresh bonds. You don’t want to end up gifting something that can be irrelevant or mundane to your premium clientele or efficient employees. You get only one shot at this right? Well, we take the pressure off the gifting game for you! Be rest assured that the below listed corporate gifting options will not only delight your clients and employees, but will guarantee strengthened associations for the near future. For those premium clients, you certainly need to make a lasting impression! Pen drives and office stationery just does not make the cut here. 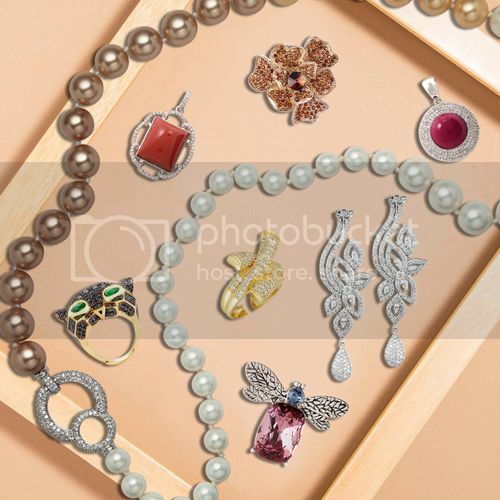 Exceptional lifestyle gifts like jewellery, silk scarves, cuff links that speak about the interests of the client like sports, music or travel, dapper looking pocket squares and utility based items such as decadent shoe horns or walking sticks are some of the options that could be apt for gifting to your discerning corporate clients. With high quality at an unbelievable price, it is our aim to provide you with the best in desk top utility gifting options. From innovative photo frames and artistic table clocks to customized visiting-card holders, we have you covered when it comes to gifting table-top displays. Personalized brand name engraved silver or gold coins spell astute sense of pride of the company and exude a luxurious feel while still being affordable. Custom made to order, we deliver only the best quality in gifting silver and gold coins. Design to impress is our motto! We create custom trophies appropriate to your event. Showcasing an upward graph of the company and solidarity amongst the employees, our bespoke medals or trophies are made in unique designs according to your brand philosophy. Stick to the classics when it comes to impressing your clientele. Enjoy the festivities while we handle your corporate gifting needs. Our selections include fine silver Tea sets, God idols, Pooja thalis, ornamental jars and much more. shazé offers a range of luxury gifts to suit all tastes. Understanding your requirement for bespoke gifts is our motto. We offer an end-to-end solution for all corporate gifting needs. Get in touch with us to enhance your gifting experience. We make your vision come to life! The world today is dominated by millennials and digital natives who don many versatile hats. Tech-savvy and multi-taskers, the youth now want to have the best of the whole kit and caboodle, they are the ultimate jet-setters. With having a robust personality, the need to put your best foot forward becomes pertinent. So what do you gift to a person who has it all figured out and sets high standards for themselves and their living space? Obvious gifts just do not make the cut! The gifting game by shazé is fine tuned to meet the demands and idiosyncrasies of the new crop. Styles may change or fade but high-end décor pieces always remain timeless. When in doubt, stick to the classics. With the raging trend of ‘less is more’ now, one prefers buying few select pieces that add high definition and striking value to their home or office space. You can choose from our silver plated plush décor figurines for festive and corporate gifting or even vintage inspired clocks as a sophisticated choice in gifting. With the trend of giving a fun twist to your everyday ensembles, small details play a big supporting role. How many cufflinks are too many? Enhance your gifting experience by selecting from classic checkered cufflinks or define the passion of the receiver by gifting them exciting sports inspired ones. Bring out the feral elements in nature by gifting cufflinks designed in the form of a lion, a stag or even as the wild bison! Experiences have taken over in a big way this season. Taking in slow mindful moments with friends and spending quality time with family has taken the front seat now. With dispensable income and immense style, folks are choosing to relax and lounge in. Hosting your guests with flair and élan is of course a given. With hosting ranges that boast high precision finishes, you are sure to enjoy those high energy late evening and cocktail nights. Cut crystal decanters for fine spirits, shots tray and glasses, exclusive bar ware with champagne and ice bucket options, shakers and unique bar accessories, you are sure to mix up some amazing cocktails and wow your guests. Luxuriate in dramatic and sturdy watches that pack a fashionable punch each time you choose to gift or don them. A visceral choice for gifting, the varied watches we offer undoubtedly spell bonhomie like no other. There have been studies that people get more gratification from spending money on giving gifts to loved ones rather than buying stuff for themselves. We have given you the mind map of the millennial. Select, shop and gift away! shazé offers a vibrant inspired range of scarves to its discerning clientele. It is only shazé that crafts and creates handpicked/exclusive items that enable self-expression. Speaking of travel tales and exotic adventures, the scarf collection features gorgeous prints like the hot-air balloon or country stamps in the finest of silks. In appearance silk has a sheen and luminosity that makes it look luxurious. Since silk production is labor intensive and costly it has often been used by royalty and people of wealth for centuries, and it has in fact sometimes become a symbol for wealth and achievement. In England, for example, when an attorney reaches a certain status and earns the honor of being a QC (for Queen's Council), he or she is said to "take the silk". When you want to up the ante at an event or party, premium scarves for women from shazé should be your ultimate choice. Fine silk scarves as a gifting option for women is an innovative and thoughtful option too. shazé offers a collection of premium quality scarves online for women. If you are passionate about your designer scarf collection, the special instructions that need to be followed to care for your priceless beauties are very important to follow and keep in mind. Your endearing accessory will only last in good condition until you give it tender love and care. Silk clothing keeps one cool in the summer, it provides surprising warmth in the winter and is often used as an insulation layer in different types of clothing. Silk can absorb a fairly significant amount of moisture. Your scarf will regain its shape and form after a gentle wash so keep that iron hidden away in your laundry room! 2. Skipped reading the wash care instructions label? Think again. Every scarf has a unique care procedure. Some of them require gentle hand wash while other really delicate silk scarves need unique dry clean services. Extend the life of your designer scarf by treating it with utmost caution. 3. Gentle care, longer life. Silk has the quality of being really flexible. It has delicate fibers that can get damaged if you wash it in hot water. Always remember to gently hand wash your scarf in cold water only. Do not wring, twist, or rub the silk scarf while washing. You would never want your beloved scarf to lose its vibrancy and the gorgeous mélange of colors to fade. Harsh sunlight can do that to your scarves, you have been warned! Store those beauties in a dry airy box, preferably with moth repellent sachets. 5. Chemicals – touch me not! Our scarves are highly resilient but special care should be taken that they are kept away from harsh bleaches and perfumes to sustain their original look. Lastly, we leave you with a visual treat of some of the highly desirable scarves from our collection. Drape them in your own unique way to up your fashion game! The easy breezy Destiny of Dreams Silk Scarf. Playful Tropical Toucan Silk Scarf. Taking cue from this quote by Pablo Picasso, design moguls have been profoundly inspired by artists’ works and art movements, challenging the boundaries of fashion and décor. Famous artists’ works and art movements work as a rich source of inspiration for apparel, jewellery, product and interior designers. Let us take you on an exhilarating journey of the most talked about Art Movements and how they have influenced designers and their creations. In 1965, Yves Saint Laurent designed a shift dress so iconic that after a 2002 retrospective of the designer, it’s now housed in New York’s Metropolitan Museum of Art. Why is it so iconic? To integrate Cubism in your daily wear, try jewellery from our Go Bold collection. Pop Art uses images of popular (as opposed to elitist) culture in art, emphasizing the banal or kitschy elements of any culture, most often through the use of irony. When it comes to making a statement, Pop artistes went against the tide. Moschino used pop-art extensively in the 80s – and still does now. The new, liberated, career woman was powerful, educated, ironic and dressed accordingly. She refused the fashion system and stated that good taste doesn’t exist. References to pop art, funny tongue-in-cheek statements like “Lost my reputation, never missed it!” consumerism-inspired accessories and wit decorated the look of the new-age woman. Pop Art continues to be the most followed art movement in fashion. Now you can incorporate a pop of color and quirk within the scheme of your home décor with our Angus Bulldog in neon, orange or lime green! Our colorful travel inspired scarves can also add that much required quirk and color to your wardrobe. In more recent times, the work of abstract expressionist Albert Irvin guided House of Holland’s Resort 2018 collection after designer Henry Holland reached out to the artist with an invitation to collaborate. The kinetic energy fit Holland’s aesthetic, and the result was a swaggering riot of color and energy. Fluid in form and abstract in design, our Crescent Jasper Earrings are sure to satisfy your artistic yearnings! The Art Deco style manifested across the spectrum of the visual arts: from architecture, painting, and sculpture to the graphic and decorative arts. Art Deco was a direct response aesthetically and philosophically to the Art Nouveau style and to the broader cultural phenomenon of modernism. While the Art Nouveau movement derived its intricate, stylized forms from nature and extolled the virtues of the hand-crafted, the Art Deco aesthetic emphasized machine-age streamlining and sleek geometry. The Stellar jewellery line by shazé defines slick finishes, clean lines and shiny surfaces meeting the ethos of the Art Deco feel. Surrealism a 20th-century avant-garde movement in art and literature which sought to release the creative potential of the unconscious mind, for example by the irrational juxtaposition of images or the surprise elements in design and form of interiors. It’s not hard to see Surrealist master Joan Miró’s mark on Giorgio Armani’s Resort 2018 offering. The line embraces the Surrealist master’s signature sun red, graphic shapes, and artsy prints, to infuse Armani’s classic silhouettes with a dose of sensuality and sophistication. Surrealism encouraged the world to go beyond the oppressive boundaries of rationalism and have the freedom of thought and expression. Taking a cue from the avant-garde movement of Surrealism, the in-house designers of shazé have conceived a line of jewellery called Go Bold that depict the power of imagination. The influence of art on fashion designs can either be evident or difficult to discern. When the influence of art is hard to identify, it is common that designers take certain ideas from an art movement and translate them into a tangible product. The influence of art on fashion can either be apparent or vague, but art has greatly influenced many influential designers. “Creativity takes courage” – said the great artist, Henri Matisse. So don’t shy away from experimenting with your looks as also with your interiors styling. Minimalism vs Maximalism: What’s your calling? Art, Fashion, Interiors or Music. Every form of self-expression globally has had a brush with the ideas of Minimalism and Maximalism. At extreme opposite ends of the spectrum, these styles can pretty much define your sartorial sense. Jovial Tangerine or Muted Grey? Baroque Woven Furnishings or Pristine White Silks? Arabesque Fittings or Mother of Pearl Head Board? Maximum or Minimum-take your pick! Curious to know what Maximalist fashion is all about? Maximalism is a celebration, where “more is more” takes precedence over its widely known sibling, “less is more”. You could argue that it is what we call “statement dressing or decor”. Maximalist sensibility is a parade of prints, vibrant colors and embellishment; be it Moschino, Kenzo, or even Prada and Balmain! Think fashion goddess Iris Apfel, the art of dressing up in clashing prints and larger-than-life accessories has never been this inspired. The recipe of Maximalist fashion and décor is a cheerful concoction of travel tales, fashion eras, world cultures and one’s own instincts. Minimalism is clean, restrained and unruffled. Minimalism emerged in New York in the early 1960s among artists who were self-consciously renouncing recent art they thought had become mundane. The new art favored the subtle over the "dramatic". While Maximalist fashion is an ongoing trend, the Japanese have coined a term for the world to heed- Shibui. Shibui is a term used to describe objects that are attractive in their austerity and restraint. If you’re a person who prefers clean and unobtrusive designs, then you may have a minimalist sense of style. Shibusa is an enriched, subdued appearance or experience of intrinsically fine quality with economy of form, line, and effort, producing a timeless tranquility. It is the registration of life or ‘feeling experiences’, quiet beauty with intelligence, love, light, and joy. These qualities can be more easily felt when gently viewing modest, natural everyday phenomenon or objects, such as the sunrise or a simple piece of pottery. Knowing the details of the design could help you decide which side you prefer; we are unravelling the code for both ideals. Pick the style that moves you, and display it with élan. While a Minimalist revels in the glory of neutrals and muted tones, a sturdy vivacious neon Bulldog figurine as a statement home décor piece could easily be pulled off in a montage of a Maximalist’s living or work space. An ergonomic environment becomes a habit and necessity for a Minimalist. Clean lines, solid shapes, simple aesthetics and immaculate finish is a given for such spaces or accessories. You will never see Maximalists wearing plain, boring clothes. For beginners an easy way to get on board is to mix different prints in the same color family. A floral print maxi dress could easily be juxtaposed by an equally vibrant Madras checked jacket. Try playing around with different textures and build key looks with common fashion or decor staples. A Minimalistic space would be devoid of eye-catching prints. Tonal weaves and subtle designs make up the space or look of the minimum seeking individual. Organized chaos almost defines the life of Maximalists, they know accurately where that Tweed Blazer sits prettily in their vast medley of garments or the precise location of that chunky necklace from the zillion trinket boxes they own. Maximalists tend to be whimsical in their thoughts and approach. They are experimental souls. Minimalists take pride in owning only a few key pieces of décor or jewelry that speak of their style. They invest in only quality products that go a long way in keeping their space clutter-free but impactful. Possessions like Shoehorns or Newspaper Holders exude a refined and fashion forward demeanor. Nonchalant yet cultured choices such as the global appeal of men’s Walking Sticks, the Minimalists are true pioneers of the fashion game. If you see yourself in this set, buy luxe and striking key animal figurine décor pieces to adorn uncluttered spaces and exude an urbane aesthetic. You could choose your approach but then again rest easy! There is no right or wrong when it comes to fashion and self-expression! You could be the wild flower child of the 70s within your soul or channel Audrey Hepburn’s classic grace. At the end of the day, it is all about exhibiting your unique sensibilities and individual flair. You get a call from that long lost friend who suddenly stumbled upon a free evening to catch up over drinks. You are excited but worried about making a good second impression on your friend. After all, you are meeting them after eons and want to put your best foot forward! Dressed in office formals, one isn’t really ready to make a statement. You wish you had planned your outfit and accessories better and bought that easy transition necklace or knew a way to style it with those mundane trousers. Well, look no further! We are here to bring an energy and freshness to your desk to party look. Take the day and ‘carpe noctem’ or seize the night. Looking smart gives a woman a high level of confidence and gravitas at work. Fashion’s all about change, more so now than ever. If your look always stays the same and you’re not careful, it can seem like you’re stuck in a time warp or your style could become uninspired. What’s really important is to consider and infuse trends into your daily lineup. Be open to discovering new silhouettes and colors, change is good! Wear easy transition pieces like the basic black jumpsuit. Definitive colors like black, army green, navy or ecru in jumpsuits can be paired with a formal blazer for work along with a high contrast printed scarf set off by your signature perfume. Promote your style with bold patterns, statement colors, and elegant necklines that’ll have your associates admiring your sartorial style. For an edgier take on your office look, swap your slim pants for a form-fitting princess cut dress and stack on the statement accessories. Transform the look of your basic white shirt with statement earrings to assert your distinctive style. Display your inventive side by layering a plunge neck top over the white shirt and revamp the look of your classics. Boardroom tested, grace approved. Whether your day job is ultra-corporate or colorfully artistic, polish your 9-5 look with glistening jewellery. Classic earring and pendant sets and the shine of a three-toned splendid crystal zirconia bracelet will be a game-changer and will be trend setting by stretching the norm. You can be suitably dressed at work and away from desk without looking too casual. Small details go a long way. Wear three toned stackable band rings studded with glinting baguettes juxtaposed with dazzling inside-outside hoop earrings to highlight that pastel pant suit and take your look from serious to playful. It’s Office-cial. Whether you're rocking your look inside or outside the office, amp it up with elegant accessories, and you're ready to slay the day. Clock in with clean-cut sophisticated dresses and stunning accessories that work hard for you. Monday to Friday. Style like a boss, elevate your workwear jewellery and take it to night-time glamour with élan. When words don’t suffice, you need statement-making pieces to break the ice. Honestly, how much small talk about weather can one get away with? Such times call for your sense of flair to do the talking on your behalf until you sashay into the easy conversation zone. One puts in a lot of thought into decorating their living or office space. Whether it is browsing through pages of thick glossy lifestyle magazines or checking the latest trends online, we make sure that the most coveted décor piece adorns our space and claims its importance in the mélange of our life. Some items take a back seat and add to the overall scheme of the décor while a few take center stage. Such pieces grab the attention of on-lookers be it a casual visitor or an esteemed guest and gets them curious. The Furious Pride figurine by shazé is one such exceptional piece of décor. Bringing out your fierce, go-getter personality, this piece is made with zest to capture the majestic roar of the lion. It stands out like a bold trophy of pride in your collection and speaks volumes of your powerhouse personality. The Savannah Charm figurine is another striking décor piece which will get the conversation flowing about your exotic travels around the globe. When it comes to personal style, an exceptional looking piece of jewelry can get onlookers ogling at that statement piece that you oh-so nonchalantly flaunt with your ensemble. A statement necklace or a quirky time-piece go a long way in adding to your confidence and look. Don’t we all love being complimented or admired? Bring your guard down and network away at the next meeting while you don the conversation starter Pretty Crazy Pop Watch from the shazé time piece range for women. ‘And if travel is like love, it is, in the end, mostly because it's a heightened state of awareness, in which we are mindful, receptive, undimmed by familiarity and ready to be transformed. That is why the best trips, like the best love affairs, never really end.’ – Pico Iyer’s words make one want to take a stroll down a gorgeous path, relish nature’s beauty or make some time for relaxed conversations on a mysterious getaway. Cruise away while you style the Go Bold statement Blue Peace Necklace with an easy breezy dress or pair our quirky Basketball Cufflinks with a light linen blazer and display your passion on your sleeve. A game changer in the premium lifestyle space, shazé now opens its doors to Delhi. Situated in the sophisticated Worldmark 1 building- Aerocity, the store showcases a sprawling 2400 sq.ft space- the largest yet for us. With a penchant for creating designs that often put aside societal norms, we now strive to lend our customers a more than experience with a destination store. Significantly, the store also features luxurious accents coupled with state-of-the-art technology – aiming at providing customers with a shopping experience that is unparalleled. With interactive screens that give out detailed information about the design and product aesthetics, the store spells out contemporary elegance owing to its modern and minimalistic flamboyance. The space and ambience of the store has been designed keeping in mind the vibe of the brand and the lifestyle of the customers. The expansive space showcases magnificent glass interiors with copper accents coupled with a warm mood, while the courteous staff ensures optimum customer contentment. Morever, the store is thought out in a manner that it gives you a holistic shopping experience. Over the years, shazé has been known to pioneer edgy and creative design aesthetics, and with the platonic shift towards premium lifestyle-centric products we aim at lending our customers the good life- sartorially. Beautiful and captivating in its primary form, the Enchanted Garden collection by shaze taps into a space exuding absolute feminine grace and timeless elegance. Bringing together the surrealistic theme and weaving it into the pieces, the collection aims at designs that emit an ethereal touch. It is an ode to chic that imbues minimalism, with pieces that defy trends to channel a classic- that never goes out of style. Drawing inspiration from the concept of magical spells entwined into jewels to create mystical pieces, the collection features jewellery that makes for a worthy addition to your ensemble. Showcasing intricacies in design that are a brilliant representation of the delicacy of fresh flowers, the collection also portrays the fluid nature of swaying young fronds in subtle pastel colours- a sure winner for versatility. The designs intend to provide you with a collection that spells fascination and can’t be taken eyes off of. Exquisite and statement-making, the collection comes fashioned in sophisticated silver and gold toned finishes, and a rose gold finish keeping up with millennial trends in fashion jewellery. With designs that showcase traditional single and dual-toned finishes, the collection now also houses a range of triple-toned pieces that style well with a variety of colours. Set in a number of floral-inspired designs that showcase your affinity towards nature, the range is set in scintillating clear and coloured cubic zirconia crystals that add just the right amount of glamour to your outfit. In a fascinating amalgamation of these, the pieces present an artistic take over the Enchanted Garden theme. The collection showcases a range of stand-alone pieces and matching sets- consisting of rings, bracelets, earrings and necklaces, each possessing the ability to shine on its own as well as radiate magnificence when stacked together in multiples. Lending you seamless transitioning from day-to-night, the collection is the perfect pick for the contemporary and sartorially aware woman. Making for jewels that draw eyes to themselves, the pieces own the artistry for multifaceted wear- each absolutely stunning in its simplicity. Go Bold - Make A Statement! Celebrate the endless joys of summer days in the reminiscence of bright, happy colours- the rich yellows of the mangoes, the serene blues of the quiet summer afternoon skies and the delectable hues of fresh berries that instantly take us back to tropical summer vacations. The quintessential vibe leaves us with fresh, flowing dresses and ostentatious jewellery that commands attention. With eclectic and bold pieces making a huge mark on the international fashion circuits, the Go Bold collection by shaze keeps right on trend. Showcasing stunning creative aesthetics coupled with experimental and innovative use of mediums, the collection is a nod to the ultimate shaze attitude- fierce, bold and for individuals with a penchant for artistic detailing. For a woman who believes in being her unapologetic self, for the ones who always seek to experiment with their looks, the Go Bold collection becomes an instant favourite. With jewellery being such an inseperable part of a woman’s sense of style, the pieces fit seamlessly helping you create a sartorially chic wardrobe. Apart from being contemporary it is also a sure winner for its versatility, with the designers taking inspiration from various walks of life and incorporating them into the designs- creating pieces that not only tell a story but also make head-turning statements on their own. In a stunning amalgamation of gold tones in a reflection of the sun and artistic themes that pique ones interest, the line is a beautiful representation of a personality that constantly dodges mainstream. With elemental inspiration from the meso-American Mayan culture, the delicate intricacies of the Trail of Nature theme and larger than life Surrealistic ideas, the designs imbue a feeling of avant garde and make for treasured pieces of jewellery that instantly not only elevate your ensemble but also make you stand out. Yes, it’s the online shopping world that we love to live in! And, why not? It’s so easy, so convenient and so so so hassle free. At shazé, we believe in providing the best experience to our valued customers. Our website has been the doorway to the online premium world of shaze since a long time. And, now it has been redesigned and refurbished for easier access to this gorgeous world of innovative and contemporary lifestyle. The new shaze.in is more than the habitual shopping websites – it is a world for those who appreciate products that are different from the regular. It is a world that welcomes all who have a refined palate and have frequent interaction with global trends. With sections for Men, Women and Décor products, the website helps the customers to browse through various pieces easily. From vibrant and colourful products to the aesthetically appealing décor pieces, the our website display is attractive and clutter-free. The new website shows the new arrivals right on its home page for the ease of the customers. It also features the best sold and featured products for the enthusiasts to make a choice of the latest lifestyle trend. Shopping has been made easier with multiple payment gateways. We’ve rounded up some of our path-breaking campaigns on the home page (and of course we will keep updating our latest video – stay tuned for that!). Choose your-kind-of-product today from the new website of brand shazé – www.shaze.in. It’s just different, totally worth it! Maintaining a chic urbane life in cities could have its own concerns sometimes, or should it be every time? Think. The items required to maintain a lifestyle. Those new accessories. Those look-at-me lifestyle products. The oh-so-cool home decors. Too much to ignore, right? Whether you are buying online or in person, shopping for branded and fashionable up-to-date stuffs could always (almost always!) make you think about your pocket. Nonetheless, you must buy it as you do not want to fall behind from being the coolest host or the trendiest person around. Good news is when your favorite brand goes on a sale – ahhh! It brings happiness. It brings love for shopping. And why not? After all, urbane world’s delectably alluring piece of pie is right there at a much lower price! shazé – the premium lifestyle brand – offers its statement-making pieces at surprisingly exclusive rates in their monster sale. Popularly known as Shazilla, this sale offers jewelry, home décor products, lifestyle products, men’s accessories and women’s fashion-buys. Want to show your love in an expensive way or want to gift something premium to your dad? A birthday round the corner? Or a premium party to host? It is time to go shopping for the products that lets you establish a sense of glamor and sophistication. Whether it is the glittering crystal studded earrings or the aesthetically appealing pair of book-ends, this sale is befitting to your adulating choices. Redefining the concept of sale, shazé assures something for everyone. The subtlety, finesse and craftsmanship that goes into each product by the brand surely spells an amazing shopping experience. Now this shopping experience is pocket-friendly as well! So if you had already geared yourself to spend a certain amount this season, Shazilla lets you way more bang for the buck. Visit www.shaze.in or our stores this season to get the best deal on luxurious items. Happy shopping! It’s the season for vacation again! Exciting, right??? Destinations chosen, flight tickets booked and hotels reserved. The only task you are left with is packing! What and how to pack could be tricky in the absence of useful tips. And surely, you won’t want to miss those photo opportunities on your vacation just because you are not looking that great! Let’s explore a few tips here to look your stylish best during these long awaited holidays. For obvious reasons, the suitcase cannot be packed with a lot of things. However, looking good amidst the enchanting natural allures is primary incentive for all. You need to choose what defines glitz and glam for you. After all, you should be glad to open the suitcase after your flight! A pair of sunglasses is a must. Whether you are going for a beach vacation or for a thrilling feel of the mountains, investing in a branded pair of sunglasses is necessary - not only to protect your eyes but to look chic and fashionable under the sun. Frames with different shapes and colors could spoil you with choices. Get the one that defines your facial features in a tasteful style. Yeah! Keeping a designer scarf is oh-so-cool for any destination. Wear it to your beach party or wrap around your neck to ward off the cold breeze, a cool design on a silk scarf will always keep your style quotient a notch higher. Additionally, these versatile accessories let you flaunt a colorful even when you are wearing a dull attire on your outings. Wherever you go, whatever you do, you need to keep time. So, why not keep it in style? A branded watch with a splash of color could just be the thing you need for your vacation. It would definitely jazz up your wrist without effort. And, carrying wrist watches was never a hassle for anyone’s luggage stories. A dream dinner on your dream vacation is surely on the list. So, why not prepare for it with a glam necklace? An intelligent design and pops of unusual colors could make you look the best on this dream dinner night. Choose a necklace that could assert your style statement just the way you have ever thought of. A statement piece would never ask for any added accessories. Now that’s a good news for your luggage weight! You cannot be you (even on vacation) until your signature style is with you. Brand shazé offers a plethora of options in the above mentioned categories for your exclusive signature choice. Visit our stores or buy from www.shaze.in this vacation season for the best buys. Women are essentially beautiful, and the definition of beauty truly differs from person to person. One can never actually define the characteristics of a pretty lady. However, there are certain other qualities which strive to define all beautiful women – compassion for the self and others, intelligence and desire to support others. The woman who has these qualities is beautiful, the beauty that enflames the heart and enchants the soul. Whether it is your mother or your wife – with the above mentioned qualities, the woman becomes indispensable in your life. What is required today is to cherish her presence in our lives. Celebrating her existence is acknowledging her importance in our lives. It is unfortunate that women with true beautiful qualities are sometimes overlooked. It is time to gift exceptional products or compassionate time to enhance her beauty and let her know that you care. Preparing a good breakfast for her on a fine morning or gifting her something in fashion accessories could be the way you celebrate her companionship. In the commotion of everyday life, we forget to acknowledge the presence of a support that pushes us to go through it. It is just not the wife or girlfriend that matters, women in all strata of life make it worth. A sister is the fun that we require each day, a mother is the one to whom we go back in times of uncertainty, a sister-in-law is that friend that knows all your faults and yet cherishes your company, a girl friend makes it easy to go through tough exams. Women are important aspects of every one’s lives. Women who know how to love make the most valuable people on earth today. A little love towards them could help to develop the society in a rather meaningful way. Women’s Day is the day that is dedicated to all women. Visit our stores or buy from www.shaze.in this Women’s Day, but let her know that you care about everything that she does for you. It matters! So, it’s the time of the year! Valentine’s Day is round the corner. And, when you are thinking of buying a wonderful gift for your partner or spouse, think again. If it is really all about love, does the love come from only one person? Does the happy day belong to only one person? Tucked within thousands of chores, there remains certain moments of affection and love that encourage us to move ahead. And, we actually value those special moments every day. Laughter, understanding, hugs, kisses and faith are some such precious things that we receive from different people in our lives. But do we do enough to appreciate them? Do we have time to say thank you for those moments in which we felt loved? If you still have not done something to appreciate, it is time to take action. And, yes; Action speaks louder than words. A simple gift can make the other person happy. There’s no better way to say that you appreciate someone than through giving gifts this Valentine’s Day. A sincere token of appreciation could be for anyone who has given you one of those precious feelings that you yearn to have every day. What better time than a Valentine’s Day to give your brother a much needed overhaul in fashion accessories. He is the one who appreciated your efforts when you felt discouraged; he is the one who gave you creative ideas when you needed those most; he is the one who patted you an extra to celebrate the success. A designer watch on this Valentine’s Day would surely make him feel special. Hugs, kisses and beauty goals – your mother might have just gave everything that you look forward today. And this Valentine’s Day let her know that you were thinking about her, and how she means a lot! Let her come out of the boring-wardrobe feeling with a thoughtful gift of fashion jewelry. Nothing could be more satisfying than watching her open the gift and feel loved. Remember the time when your dad stood up for you and believed that you could do it? You must have felt the luckiest of all! This Valentine’s Day make sure that you show him how much you cared, how much the moments of belief mattered to you. Get your hands on some luxurious lifestyle products that would spell sophistication in his larger-than-life presence in your life. It is obviously important for us to show love to our partners and spouses. But, it is also important give back to the people who matter a lot in our daily existence. Let’s make this Valentine’s Day a little different by appreciating all kinds of love, because love (in any form) is beautiful! Because of its elite association, you’d think that evening parties and formal dinners demand fine jewelry pieces, right? You’d be wrong! While we girls admire diamond and rubies, it is now time to look into a different world of beads and semi-precious stones. Defined by the modern aesthetics, the shaze Go Bold collection is a story of trendsetting in the world of fashion. The brand’s unique designs go beyond the ordinary to create a collection that reigns supreme. Added to these qualities, shaze has Feisty Fox onboard for their limited edition jewelry co-creation. Along with her sense of fashion and the ideas about feminine yearnings, Stephanie Maria Timmins had been extremely creative in rendering very special themes to each necklace. She had been a part of the shaze Go Bold designer team right from its sketching, ideation and ultimately wearing them for a shoot. Unique, bold and exquisite: these are the words that come to mind when searching that perfect gift for your woman. You should look for exquisite offerings for women that surely combine aesthetic pleasure and perfect style making fashion statements. Women always like to embellish themselves in their best attires that are fashionable. Add more edge to the jewelry, and more style to the mood with the modern and exceptionally designed products. Choose your fashion statement jewelry that not only pampers you best but also sets the trend for others. The highest anxiety moment in any occasion must be the moment just before your loved ones unwrap their gifts. The ribbon comes untied, the paper falls to the floor, what will their expression be? Figuring out the right gift can be very difficult, and we can easily make mistakes. Jewelry – Meet her accessories before you meet her. A woman’s taste is always judged by the accessories she carries. So, add that accessory which covers all the needs of a modern woman. Many renowned designers and brands have been offering what is a seismic shift from all traditional and subtle jewelry. It is time to move to the latest trend. Enjoy yourself a little more this season with these exceptionally created products. Watches – Watches have been an essential part of get up since ages. But today, women don’t just wear watches to keep time. It is the style statement and one of the fashion accessories. Rejuvenate your sense of style with colorful watches. Colorful watches give a new look to the attire. It adds to the bolder look and feel. Bold Accessories – When you think of that special day when you will date the chosen man, you surely want nothing short of perfect getup. The latest trend in wearing necklaces is to make the statement “Look I am here.” Various kinds of necklaces are available today that are not made of precious metals or stones. Made of ceramic beads, shells, golden components and semi-precious stones, these necklaces are an ode to modern art. 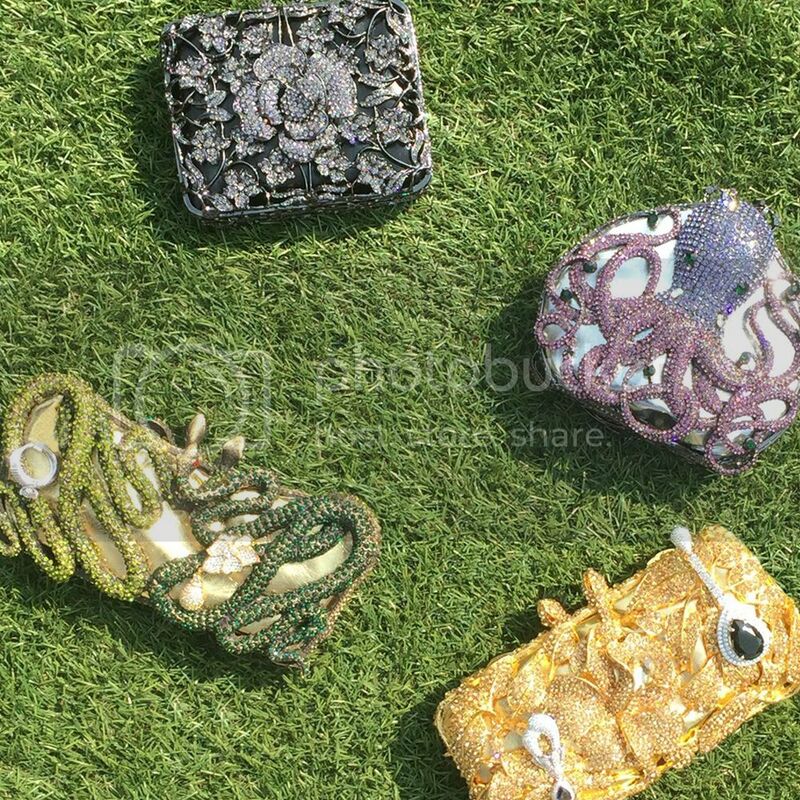 Clutches – There is no such thing as adding a little bling. If you wish to sparkle in your circle, do it in style with the crystal studded clutches. These bling-it-on purses are designed with various themes. A perfect addition to your wardrobe, these clutches are fit for the versatile you on the special day. One could always buy clutches online. Home Decors – Nothing quite says classic like a woman’s choice to decorate her home. Designers and brands, today, include choices for all who just does not finish it at self-grooming. From bold conceptualization of bookends to the exaggerated unstructured silhouette figurines, you could pick your non-conformist gift that makes you more you. Your holidays must be filled with parties this month, including your office get-togethers, Christmas parties and the New Year’s Eve gala. Being in the last month of the year, it’s time to celebrate! You must be shopping for your holiday party garb and accessories. Light up your parties with lots of sparkle and glimmer and forget the red hoodies and reindeer earrings. This holiday month calls for glitz and glam. Play around with your wardrobe and dress up in a way that matches the festive mood and colorful décor. You can jazz up your attire with a glittery clutch, shoes or some distinctive jewelry. With just one exclusive jewelry piece, you can match your different outfits. Colorful beads and stone jewelry can glam up any monochrome attire. Whereas, a gorgeous dangler can complete the look of your shimmer dress. For example, a green colored stone earring can look stunning against a golden ensemble. If you’re wearing a simple outfit, a bold statement jewelry will be enough to transform your appearance. Give your statement necklace the opportunity to shine! Team up your white attire with a bold neckpiece, and avoid wearing earrings. This will not only deck up your dress, but will revamp your look. Mixing and matching your accessories have the power to pleasantly transform your look. You can stack up rings as well as necklaces. A beaded neckpiece can go well with a golden choker on a simple outfit. To make your jewelry stand out, you should always keep in mind that “less is more” and accessorize accordingly. One necklace or a pair of dangle earrings can sophisticate your look. You don’t need to pair too many jewelry pieces to make a powerful fashion statement. Make your holiday party outfits memorable with the exquisite shazé jewelry. Unmistakably complimented by a modern style, the jewelry pieces are unique and an ode to inventive design. Every piece of Go Bold jewelry is artistically designed with a distinctive pattern. Passionate, enchanting and alluring, shazé jewelry is a pleasurable mix of contemporary, bold and chic. You could say it’s flown by! Year, months, days, everything has an expiry date. Even style comes with a date on which it would fade away. Too much of repetition creates monotony in life. Fixating on our wardrobe choices, eating that particular cuisine, going to that favorite restaurant, that routine makeup regime… It may all seem very easy, but, it’s high time we break out of that box! Trendsetting happens only when you could ferry in the new style. And, in the fashion world setting the trend could be vexing in the absence of something really special. Though it has been established that “less is definitely more,” nothing could be further than the truth in the current span. It is, however, agreeable that cluster of beads wired together might end up giving us that piece that makes the statement, “Look! I am so big!” Surely, you won’t want your fashion statement to be that! But if the subtle is not the style, what should it be? What should you wear to set the trend? What could replace that subtle trend tastefully? Definitely something that is oh-co-cool, look-at-me, and chaste. Enough with the single stone pendant and simple thin chain. The simple doesn’t look trendy. It looks like simple! Forget the subtle and simple. It is time for the minimalistic look to go wild. With the exceptional designs and concepts that take inspiration from the not-so-regular, the shaze Go Bold necklaces brings in the face of current trend in fashion jewelry. The shaze gold-colored Chic Spider Necklace is that exact definition of fashion statement. Designed with the unique idea of spider resting on its web, the necklace has a gorgeous size different from regular designer necklaces. Any drab attire could be brightened up with this neck-piece. The bold representation of an insect that is mostly overlooked, makes this piece extraordinary. The gold plating renders this piece an aura of glitter and shine. shaze brings this Blue Spike Necklace that lets you wear necklaces in the wild way, the way that just does not cover your neck but the shoulders as well. The big necklace encompasses subtle and the immense in its own way. The white, golden and blue hues juxtapose against each other to give that special touch to this piece. The necklace covers the shoulders in appropriately dark golden glow. Once wore on a dress, the neck-piece will surely grab attention of all onlookers. The shaze Go Bold necklaces truly introduces the wild concept of wearing jewelry. Grab your own piece, and let the world recognize the wild side that doesn’t recognize the subtle anymore. So, December is here! The successful culmination of another year of the Twenty-first and fashion-conscious century. Your gift-guide may have got full with ideas to celebrate this end. With a colossal number of ideas for women, you must surely have added ideas for the men in your life. And if not, and you are still in search of the right gift for men, let us add some of the best to the list. According to the popular notion, men do not require much fashionable stuffs to stand out. Thanks to the philosophy, but surely we beg to differ. A great pair of jeans or a nice pair of leather shoes, accessorizing to a man may not be just that! Fashion separates the real men from the rest of the men in a gathering. It is those different items that make and assert his style statement. With a variety of websites popping up every day, it could be vexing to choose the correct pieces as gifts. However, don’t forget that the right wardrobe is set when you have the right items together. Just check out the items that could add not only style but also value for that perfect wardrobe. Invented in the Renaissance period, the shoehorns have been smart additions to men’s closet since ages. Shoehorns are always a pleasure to use because they assist the foot to slide into the shoe without crushing the shoe-back. Passed down through centuries, the usefulness of shoehorn is still revered by men having the sense of style. Not only utility, but the elitism, which is associated with owning an exclusive silver-plated shoehorn, makes these pieces indispensable fashion statement for men. Hands are the first impressions in a formal gathering. Make the hands look stylish with modern designer cufflinks. These may not be novel ideas as gift; but when people around start talking about it, the pieces become something that could be cherished. From nascent video games to vintage golf, the cufflinks are crafted in various designs that could make anyone proud and happy to be seen wearing. Blending in could be the common trend, but be sure that standing out could just up everyone else’s game. And, nothing could be as stylish as the dog tags. Invented in the camps of men in uniform, these bold additions had let men dress better than everyone around in a casual party. Give a chance to the men with your exclusive gift of dog tags. Gifting is your own subtle way to inspire someone to care about their appearances. So, don’t miss the chance to gift these edgy wrist bands that perfectly blends with the concept of fun parties. Made in pure leather and embellished with various patterns and designs, these pieces are cool for any hand. Paying that extra attention to these details make a big difference. Remember, people notice your choice even when they do not say anything. So, choose what makes it worth for all around you. Gift something that quickly and easily translate into the best. Brand shaze brings you some of the best designs and ideas in men’s accessories. Choose today, rejoice tomorrow! Well, hello fashionistas! We think standing out from the crowd is something that makes you look different. And following the trend is not style. Why wear matching jewelry when you can play with fashion? Today jewelry doesn’t give women the aura of wealth. It is the expression of your attitude towards life. The dress that you choose to wear to the evening party does show how you wish to present yourself to society. It can be traditional, it can be ethnic, it can be utmost western, and it can be the latest dress on Lakme Fashion Week. Similarly, what you choose to complement this dress with also expresses the attitude that makes you more you. This fashion statement jewelry is what makes you look different from others. More than the dress, it is the accessory that comprises the style, the focus of everyone around. Attention to details takes your style quotient a notch higher. Statement jewelry is never worn in bulk. It is known as “statement” because a single piece of jewelry is enough for the trendy appearance. Planning could actually help you to pick the best for you. Choose the best statement jewelry for your dress in advance. And remember, you do not need to embellish the look with additional accessories. In the current span, it is important for many of you to stay in style, especially when rushing from desk to party. Conforming to the traditional ways will only let you look good; the bold and fashionable diva within you could only surface with non-conformation. A sassy ring or the chic pair of earrings, brand shaze offers you the best range of products to choose your kind of statement jewelry. Since its fall, vibrant colored jewelry with attractive stones will help to update your look. Gifting and buying that special something doesn’t happen every day. So when it happens, it becomes an occasion that you would love to celebrate. And, surely celebrations do not happen with the ordinary. Special people, special food or special gifts – everything together makes a celebration successful. The local five and dime shops would surely have something for everyone, but does that really satisfy your idea of celebrations? If not, let us just ban boring gifts because occasions and celebrations happen not-that-often. Giving gifts should never be an overwhelming endeavor, but that is exactly what happens in the absence of products that reject the regular, the even and the run-of-the-mill gifts. A good present isn’t about spending a lot of money, but it’s more about putting in a lot of thought. What matters the most is that the gift should express the unique feelings with which you wished to celebrate the occasion. ‘The new’ and something-as-per-the-latest-fashion – these two terms are almost synonymous to the expectations which the receiver of the gift may have. So, how do you meet expectations and actually make your celebration memorable? Forget the mundane. Indulge in what is bold and creates an impression at the first sight. The premium urban lifestyle demands something that do not conform to the regular. Choose gifts that would let your loved ones decorate their abodes in a unique fashion. 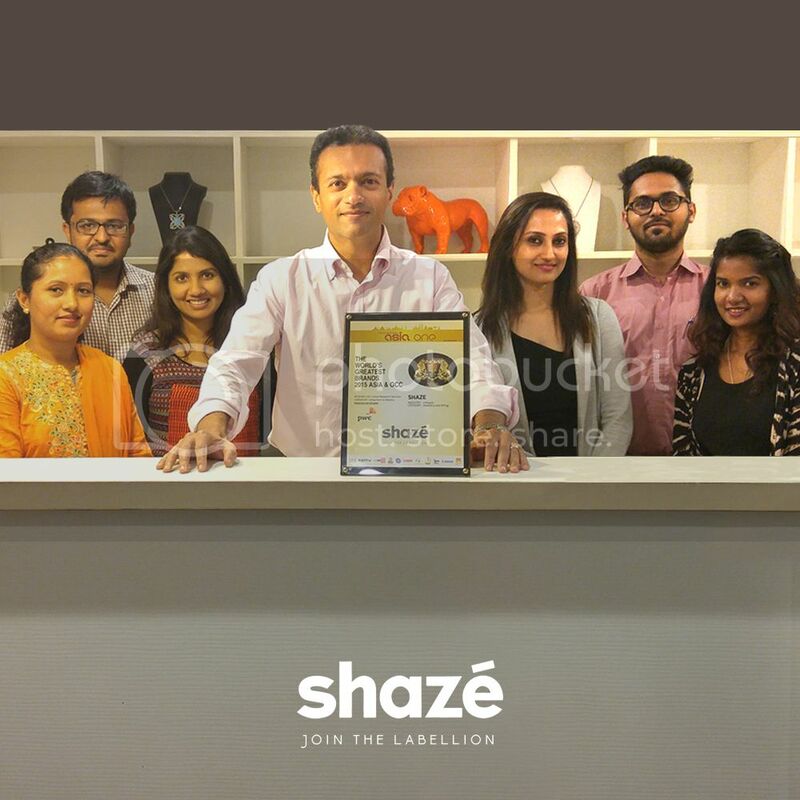 Brand shaze has thought and created products that scream uniqueness through its mere presence. Created with an industrial look and inspired by the retro steam punk culture, the Geibel Punk is made with bronze material with oxide finishing. The eerie look of the product surely yields an aesthetic gothic vibe, an ambience that suits the premium lifestyle. Escape the derby shopping cart experience with another gift idea that represents a bold concept of Bulldogs. The Mohawk Angus Bulldog from shazé is hand painted in fresh colors. Inspired by the pop art culture, the product projects a confident, extravagant and trendsetting style of décor. The witty and whimsical home décor piece is a work of art. Come experience the feeling of gifting ‘The Different’ at shazé. A world that could spoil you with unique choices awaits your visit. Crawling out of your comfortable bed in the morning is definitely tough, and if that is aided by the anxiety to face adverse remarks by society, things turn worse. You may not even like to get out of your bed at all. What do you do now? How do you make your morning brighter? How do you make your day easier to tackle at least for once? The ‘make or break’ mornings sets your mood for the whole day. So if you get a chance to vent out your anger, vent out the frustration that you might have felt the last night after hearing something not-so-joyous about you, give an outlet to your so-called-defeat, take the chance. Do something that actually helps to make you happy. Do something that is meant just for you. shazé, the edgy premium lifestyle brand epitomising the movement against stereotyping and labelling and encouraging Self-Expression, launched its unusual and unique store at Colaba, Mumbai, India on 7th Oct, 2016. While the store is small in size, its ambitions are big. Housed within this bold outlet is the world’s first Venting Booth, which allows people to videotape and record themselves venting out their deepest, darkest thoughts and frustrations. The best part of visiting the store is that no one hears what you vent out. It is just you. It is just meant for you to be happy. As Samrat Zaveri, the creative genius and the MD puts it, “This is not just a store. It is an embodiment of shazé’s brand personality of being bold, edgy, impactful and relevant. It is intended as a place that empowers you to express your moods and sentiments through the world’s first Venting Booth”. This novel concept-brand space gives people the freedom to voice their stories, opinions about various topics pertaining to fashion and society as a whole and will act as the Voice of the people. This need of the hour was apparent from the long line of people who stood in the sun to get an opportunity to #VentItOut on the day of the launch. Enthusiasts were egged on by the presence of star like Rahul Khanna, unveiling the store and joining them at the venue. So, it’s time! Come and vent it out! Do something just for you! Making sure that you take time out just to be happy keeps you healthier and empowered. With the changing concept of fashion and accessories, the contemporary woman wishes to display her love for loud and bold through her attire. Today it is just not the clothes that defines a personality, it’s more of the accessories that talk about the woman without actually speaking a word. It is true that all kinds of costume jewelry enhance your style and wardrobe. Women love to buy necklaces and earrings as their fashion statements. 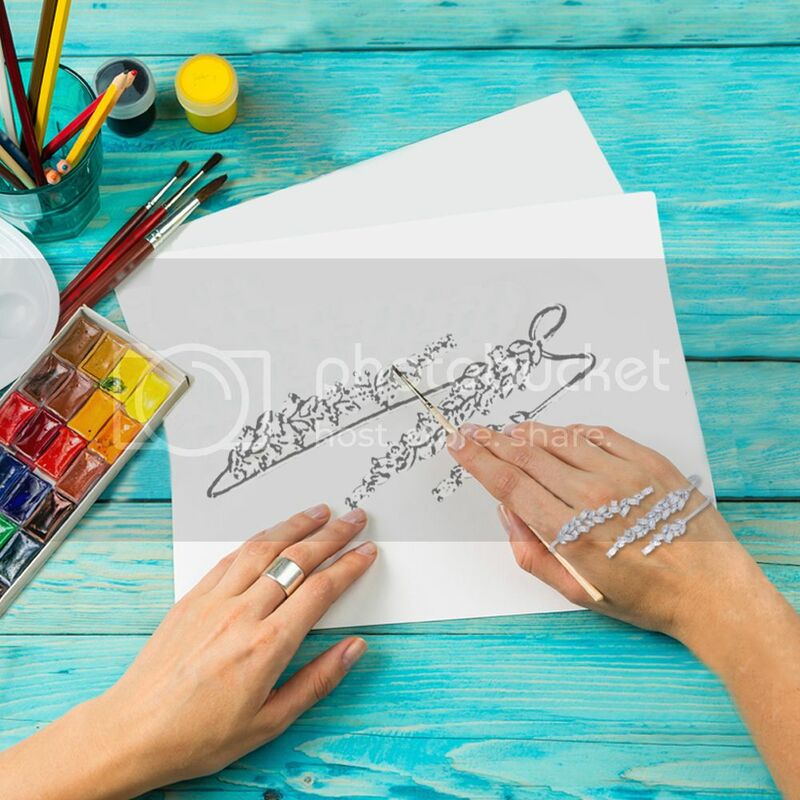 Nonetheless, it is also true that your hands comprise an important part of the beautiful you and can set up a style game with an attractive bracelet or hand-cuff. Styling your attire with fashion accessories, thus, is equally important and imperative. Classic, sophisticated and urban – these three keywords will ever remain the priority of premium consumers of statement jewelry. Whether it is enameled bangles or crystal studded bracelets or handcuffs, flaunting the trendy wrist and arm accessories has been in vogue for some time now. Jazzing up an attire with these wrist essentials is not only fashionable but easy. A simple yet stunning cubic zirconia studded bracelet is sure to enhance the beauty of your wrist in an evening party or if paired with a casual attire. When you style your hand with the colorful enameled bangle for the casual night-out party, the piece updates your style as well as look. A single bracelet or costume bangle dazzles an outfit with its premium presence. Added to these, wrist accessories are easier to fasten and flaunt. Freedom of choice and convenience are the factors that add to the unique characteristics of wrist essentials. A style that is complemented by these fashion statement jewelry is bound to give you an exceptional experience. If you have ever wished to be the trendiest, choose to shop from shaze page for that dashing smart look. Distinctive and valuable pieces of décor enhances your home space. Have you ever wondered that a stunning decorative idol can be the center of attraction for your homes? Nothing brings about the feeling of sophisticated luxury in a space quite like an attractive idol. Such a unique designer piece can also add a touch of serenity and positivity to your homes and surroundings. It can also be an ideal gifting option for someone special. Gifting is the best way to gratify and build a good personal or business relationship. A valuable gift comes from the heart with a lot of thinking and is offered with a lot of care and appreciation. If you are looking for quintessential gifts for your loved ones, the Numen collection is the right choice. These distinctive idols are not only attractive pieces of home décor but are also perfect gifts for people you love. Home décor shopping can be made easy with the unique idols by shazé. The Numen collection has been designed by ERBI, which is the specialized in-house design studio of shazé that believes in creating something edgy, bold and distinctive. Every ERBI design is a thoughtful process, a dream molded into a product. Using cutting edge technology, the products have been engineered to depict edginess, boldness and novelty. The designs are one-of-a-kind that speaks of innovation and creativity. Designed with minimal intricacy, the strong fine lines of ‘the Equi’ represents his sovereignty in the universe. Classy in his purest form, there is a Striking Balance that reveals his perfection within. He believes in being equal to every soul who worships and is wise enough to reward the worthy. The Listener – Ask. Believe. Receive. Designed with minimal or no facial features, his big ears give eminence to the form of ‘the listener.’ He listens to the prayers of all beings and uses his knowledge and consciousness to listen and reward. Sketched with soul and flesh, life depends on stillness and wisdom. The concept of ‘accept all’ defines the acceptance of all forms, shapes, hues and status. He is formless as is the energy from which everything manifests itself and into which everything will dissolve. His irregular rounded and abstract form is related to the philosophy of not-so-equal, yet he is the epitome of Acceptance. His posture and balance are unusual, yet seems effortlessly graceful. If you’re looking for home décor and gifts online or at stores, you can check http://www.shaze.in/ or visit our stores pan India for the exclusive Numen collection that has been launched recently. Because a personal touch to a home’s décor can make all the difference! New trends and styles tend to slip in and out and people are wearing more and more fashion jewelry to jazz up their style. Palm bands have become a rage these days and have been widely accepted as minimalistic jewelry. Today, when it comes to accessorizing, the chicest option is to keep things to a bare minimum. Delicate and sleek jewelry is the in-thing today. Where did the trend evolve from? It is said that these stylish palm bands, hand bands, palm cuffs or hand bracelets as they are called, have come from the Middle East. These cuffs are inspired from the prayer beads worn by the men in Eurasia. They used to wrap it around their palms while praying. And the first palm band was just a simple bead band. With time, the jewelry piece evolved with distinct styles and is now one of the statement pieces flaunted by the fashionistas. Fashion jewelry has been trending for quite some time now. And palm cuffs are one of the newest wearable today after the double rings and midi rings. Women, who wrap around the palm bands with style, steal all the attention. The celebrities have been flaunting the palm bands on their hands, making it the showstopper jewelry. However, palm cuffs are not meant for everyone. If you like wearing minimal jewelry and have beautiful manicured hands, go for it. Also, these are for those who can carry the jewelry confidently with party wears or cocktails dresses. For daily purposes, choose the simple palm cuffs and for parties and night outs, the elegant and designer pieces go well with your attires. You can match the palm cuffs with huge earrings Double rings, rings also enhance your style with the palm cuffs. And you can also stack up the palm bands too. Your hands will do all the talking. Adorn your hands with the minimal jewelry trend, palm bands and look unique. Check out the beautiful and trendy designs on shaze page. shazé is proud to announce that it has been awarded a position in the “Asia’s Most Promising Brands” by World Consulting & Research Corporation. After winning the “Most Valuable Brands 2014” by KPMG India and establishing ourselves in the Indian market, it gives us immense pleasure to be among the Asia’s leading brands. This has again added one more feather to our cap by winning an accolade in the lifestyle – Gems and Jewelry category. Asia’s Most Promising is a first ever project on brands and entrepreneurs involving the most promising nations of Asia for business. The award highlights our achievements and also showcases our success story. AMP is a project focusing on The Most Promising Brands in Asia, that through their steady development and presence are successfully taking steps in leading the market. The awards were held at 3rd Asian Brand and Leadership Summit 2016 – Amari Watergate, Bangkok on 17th March 2016. This was an initiative to showcase the exalting journey of the brands and leaders that have started from scratch and are projected to be leaders. Also, it talks about the entrepreneurs who have led it from the front to make their companies the Most Promising Brands. The global lifestyle brand shazé is about self-expression that offers unique and diversified products with a high street lifestyle, envisioned by Samrat Zaveri. shazé started as a silverware brand, which has now evolved as a premium lifestyle and gifting brand with exclusive products to celebrate individualism, standing out of the herd. Since the birth of shazé, it has been all about retail growth, demystifying retail trajectories, launching new categories and driving the brand to cater to today’s consumer needs. It evolved as a brand which consumers use as a medium of self-expression. Today the brand is known for its innovative and contemporary designs with artisans creating products exclusively for shazé from across the world. Using the cutting edge technology, every product tells a story of its own. It offers its consumers a holistic lifestyle with categories such as home décor, statement jewelry, diverse accessories such as sunglasses, scarves, and numerous gifting options. shazé has opened a whole new direction in luxury gifting in India through the truly world-class offerings. It has premium stores pan-India. Whether the season is winter, summer or monsoons, a scarf is always a tasteful and wise choice to add to your wardrobe. From adding zest to the attire to keeping the neck warm, a scarf changes the way an outfit looks and can actually make the wearer seem chic and confident. Single wrap, double wrap, loop or tuck knot, here's a gist of what scarves can do. 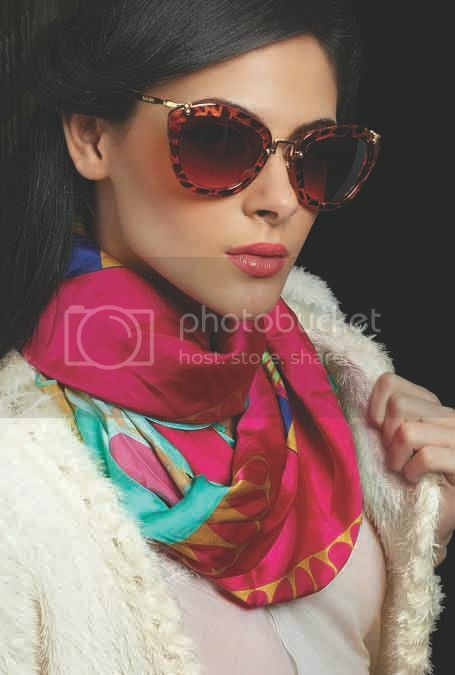 A printed fuchsia scarf is a simple accessory that can liven up attire and add certain piquancy to any dull apparel. Scarves are known to change the overall look of an outfit, giving it the needed buoyancy to stand out from other outfits. Jewelry can accentuate an outfit and provide the much needed completeness to the apparel, but nothing compares to what a scarf can do. Apart from drawing attention of the crowd without being the star of the show, a simple scarf can perfect an outfit. Moreover, there are multiple ways to wear a scarf hence one can always play around with styles and tie variations. In winter or the monsoons, temperatures are usually on the lower side and it gets nippy sometimes. And while, you may not want to wear a jacket or overcoat, a scarf can be the perfect example of something to stay warm in. Also, always carry one in your tote while traveling to stay warm on air-conditioned places. When you have a scarf in your hand, you alone know how you're going to wear it. There are many ways to tie one and the Internet can throw up a number of ways to wear a scarf. There is a range of assorted scarves available today in silk, soft cotton, woolen and synthetic fabrics. Choose your knot, and you're good to go. French women are at the top where flaunting scarves are concerned. An ideal way to wear one would be to shop from the fabulous shops lining the Champs Elysees and to get them to help you. Also, you won't be sorry if you pick one from a couture store in Paris or Milan. Pick a Pashmina or cashmere scarf, choose a classic knot and say "Bonjour". Scarves have a long shelf life owing to the fact that it fits everyone no matter the size. People continue to keep scarves in their wardrobe because they never go out of style and are known for being timeless. From runways to Hollywood, everyone who has an eye for fashion wears a scarf. From Kim Kardashian to Kanye West, Justin Timberlake to Pharrell Williams, scarves are big in social circles and are being flaunted without care. Love it or leave it, scarves simply cannot be ignored. Get a scarf today and watch your world change with the times. It gives us immense pleasure to share with you that shazé has been awarded the “World's Greatest Brand, 2015 – Asia and GCC”. This has added one more feather to our crown by winning yet another accolade in the lifestyle category. The awards were held at the INDO-UAE Business Summit 2015 in association with IBPC – India Business & Professionals Council UAE under the auspices of Dubai Chambers of Commerce, UAE on 12th December, 2015. This was an initiative of the United Research Services International and AsiaOne magazine research project with PwC – PricewaterhouseCoopers as the Process Reviewer. The most powerful brands from all genres of Business, Politics, Sports, Entertainment and Fashion were seen at the summit. Business and corporate leaders from marketing, advertising spectrum across Asia attended this event. Whether it’s your denims or your office wear, a cocktail gown or a little black dress, get your jewelry game on point to add shine. The glamorous sparkles will amp up any ootd. Costume jewelry has now been taken to new extremes and women understand the pleasure of flaunting high-quality sparklers with all glitz and glam. Celebrities have been wearing costume jewelry on the red carpet, making a style statement of their own. Today, women are more fashion conscious and prefer wearing designer jewelry to match their attire and look stylish and chic. Today’s contemporary women love costume jewelry because it is more accessible and trendy. It is also considered to be a style updater and a great accessory for casuals as well as party wears. The designer fashion jewelry line usually follows the same techniques in setting and stone cutting as those used in making fine jewelry. Get an exclusive range of unconventional jewelry that has been intricately designed to give it an impression of precious jewelry. As a brand, shazé believes in standing out and not following the herd. Being a fashion enthusiast, one can get an array of choices among the rings, earrings, pendants, necklaces and bracelets that accentuates any attire perfectly. You can wear it to brilliantly capture any mood and flaunt it throughout the year. The brand has a new enchanting jewelry collection that is ethnic and modern which can be worn with wedding gowns, cocktail dresses as well as traditional clothes. The collection has been designed on unconventional notes offering distinctiveness which gives an impression of precious jewelry. The collection is class apart that celebrates elegance, high quality and finest craftsmanship. Each piece speaks to the femininity of a woman. It is free-spirited, fresh and playful. The jewelry range is decadent and special enough for a wedding as well as versatile enough to be worn and enjoyed at any evening party. The elegant collection can also be a unique gift wrapped as good wishes for your loved ones or friends. With the changing times, people look for unconventional ways of gifting and with the shazé jewelry; one can stand out of the horde and look splendidly unique wherever they go. When you think of glitter, you think of parties or weddings. The worry that comes into your head is what to wear? But it’s not only the outfit, hair and makeup. The idea of summing up the whole look is more important which includes the jewelry and accessories. There is no need to buy a new outfit for every party when you have accessories to mix and match with them. Accessories and jewelry are prerequisite to complete a look. They can add a personal touch to any attire. Opt for a glittering neckpiece, sparkling earrings, a bling clutch or maybe cool and stylish sunnies for a pool-side party. Do not overdo your look with a lot of accessories as you might end up looking like a Christmas tree. Stand out of the crowd and bedazzle wherever you go with the elegant and chic accessories. One-of-a-kind, our Go Bold neckpieces are exclusively designed for those who embrace their own style. The designs are exquisite and unique, consisting of colored beads, brass beads, brass chains, mesh beads, glass beads, gold brass fillers, semi-precious stones and stones. Make a bold statement and stand out glamorously with this luxe finesse. Carry yourself and your essentials in ultra-glam style with the gleaming bejeweled clutches. Create a standout look with unique patterned clutches consisting of lustrous stones and attachable chain strap. When it comes to party accessories, toting these eye-catching sparkling clutches complement your dress and make heads turn. The effortlessly chic clutches are always up for grab if you are looking for an accessory that commands style. The bold and chic sunnies from shazé are one of the best accessories to pair with your party outfit. These dapper sunglasses are show stealers and make you stand out of the herd. Create your own style statement and flaunt them at a pool-side party. If you are looking for glitz and glam for your next party, these accessories are for you. Make an everlasting impression with these accessories, flaunting the bling in style. Accessories are style updaters adding a sparkle to the attire. Women love flaunting jewelry, whether it’s a neckpiece, a ring, earrings or a bracelet. Costume jewelry is the in-thing today and women love to shop this piece of happiness every now and then, unlike the real jewelry that can be bought occasionally. Fashion jewelry, if not taken care of, wears off quickly. Even sweat, oxygen and water can leave dark spots which are hard to remove. Most of the designer fashion jewelry lovers throw their favorite pieces if tarnished. However, the fact is, there is a lot of life left in that favorite piece of yours which you would throw away with a heavy heart. If a jewelry piece that is made out of metal gets tarnished, is not a sign of poor quality. Let me explain this. When oxygen comes in contact with sulfuric elements present in the environment, there’s a chemical reaction which results in tarnishing of the metal. With time, your favorite piece darkens and wears off losing its beauty. Now you can treasure your favorite jewelry for a longer time. So don’t throw away your favorite vintage pieces, make them look sparkling new again with these handy tips and minimal effort. Lemon Juice or Dry Mango Powder – This can be a little abrasive way to shine your tarnished jewelry, but works wonders. 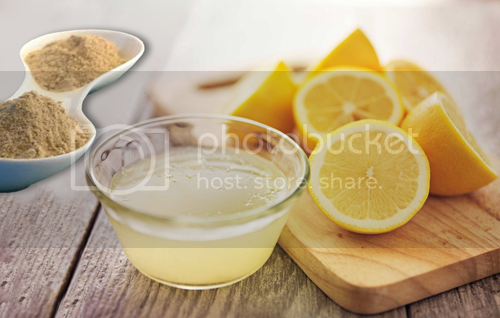 Dilute one part of water and one part of lemon juice and let your jewelry sit in it for about ten to fifteen minutes. If the dirt and grime doesn’t dissolve, keep the jewelry in the lemon juice for a little longer. The acid works through the dirt and the jewelry pieces will retain back the shine. If you have dry mango powder at home, mix two tablespoons of it with water and make a thick paste. Rub it on the tarnished jewelry pieces and keep aside for ten minutes or more. Rinse it with water and buff with a clean dry cloth. Get back the sparkle in your favorite pieces. 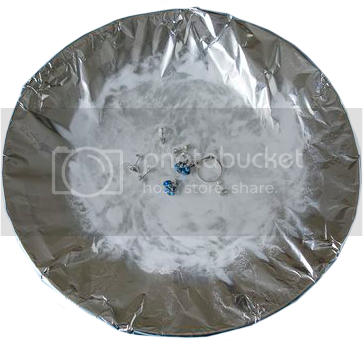 Baking Soda, Salt and Aluminum Foil – Take a deep plate or a flat round pan and line it with a sheet of aluminum foil with the shiny side up. Lay all your darkened fashion jewelry and have them touch the foil. Mix one tablespoon of salt and one tablespoon of baking soda into the dish. Heat one cup water and pour it in the mixture. You will see bubbles. In a few minutes, the chemical reaction of the foil, baking soda and hot water will clean off the dirt. Rinse with warm water and buff with a dry cloth. As a result, your favorite pieces will sparkle and shine. Toothpaste and Toothbrush – Put toothpaste on the darkened fashion jewelry and work it into any crevices. Once the paste is smudged over the jewelry, take a soft bristle toothbrush and clean the toothpaste off the jewelry. The darkened pieces retain back the shine. Mild Shampoo and Toothbrush – Take two three drops of mild shampoo or baby shampoo and mix it with three drops of water. Use a soft toothbrush and clean the grime off the pieces with the mixture. Rinse off quickly with cool water and dry them with a clean dry and soft cloth. You can also use a hairdryer to make sure that each piece is dry. With little care and precaution, you can prevent your favorite pieces from getting tarnished. Store them in zippered plastic bags with the air removed or keep them in a jewelry box. Avoid contact with perfume, hairspray, chlorinated water or household cleaning products and protect from sharp blows and scratching on abrasive surfaces and chemicals.